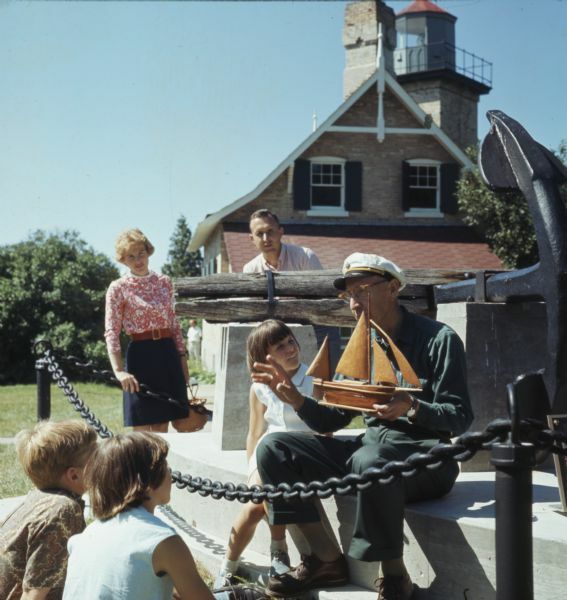 Three children and two adults are stand and sitting around an elderly man wearing a ship captains hat. He is holding a wooden model of a ship. The group of people is gathered around stone pedestal supporting a large anchor. In the background is the Eagle Bluff Lighthouse.